"UpdatesCentral has been TREMENDOUS and THE BEST part about opening an EnVie Fitness. They helped us get 87+ members 30 days BEFORE our grand opening!" First time gym owner needs help navigating critical decisions and executing digital advertising. UpdatesCentral is the preferred vendor for EnVie Fitness and partners with the new owner 90 days ahead of her target Grand Opening. 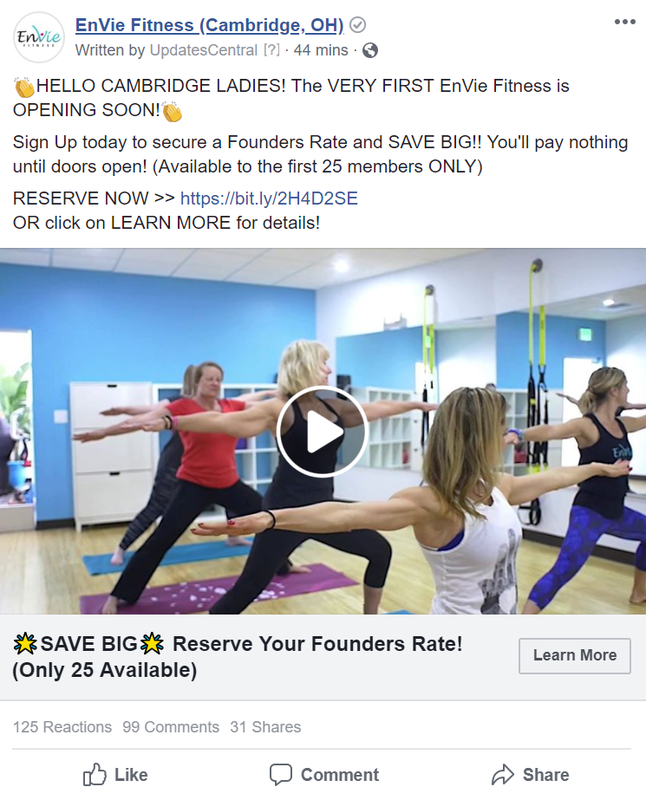 UpdatesCentral tested a series of pre-sales campaigns to help EnVie Fitness Cambridge maximize their ad spend and get the most Founding Members at the lowest cost possible. The leading ad unit was a Foundation Membership rate ad set which generated leads for $2 - 7 each over a 30 day period. 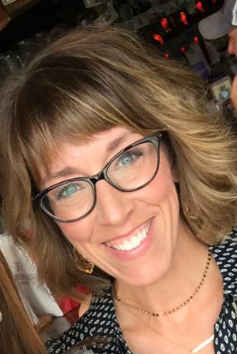 With 30 days remaining until their Grand Opening, UpdatesCentral helped EnVie Fitness Meridian generate 250+ qualified leads resulting in 100+ tours and 87+ Founding Members!